If you are caught up the shenanigans of the season as my middle child, Max, would probably say, then you know why this post is going to be short. And Much Later than I had planned. There are only so many days left in December and they are winding down along with the year as well. So let me be brief. Love the prints and the vivid colors. Ladies, your prizes will be out in the mail soon. Probably not before Christmas, but hopefully by New Year’s Day! Keep a lookout for the next giveaway. Hopefully the post will go up tomorrow! Aunt Prudencel because she reminds me of my late Aunt Prudy! I’m between Esme and Madge. I’d have to meet her to know for sure. Whoa, lots of work went into ‘Esmerelda’ Elf 🙂 your wife DOES do beautiful work! Thanks for the giveaway Scott! I think she’s a Fiona! What a fun giveaway:) Thank you! You should name her after my 11 day old granddaughter, Hadarah – which means beautiful in Hebrew. The doll is lovely! She reminds me of Ms. Frizzle of the Magic School Bus! Franny Frizzle works for me! Elfreida would be a good name! She looks like a Helena to me. 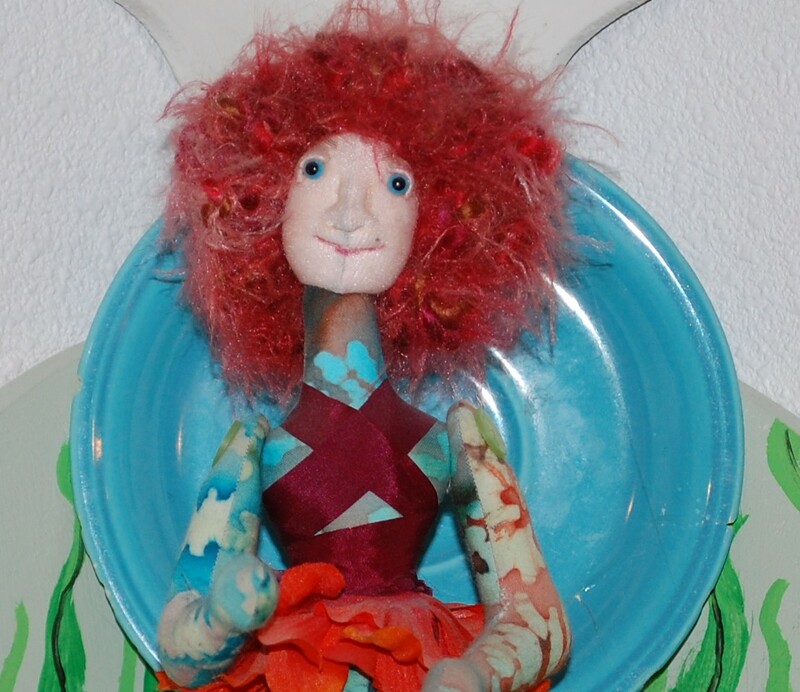 SHe is adorable and somewhat fiery I think with her flaming red hair – her name is Fiery Freda or Freda for short.